After the recent death by suicide of a boy in Repulse Bay who had just turned 11, two prominent former politicians, both of whom grew up in the community, say the Government of Nunavut and its leaders need to act now on the urgent suicide and mental health issues facing Nunavut. 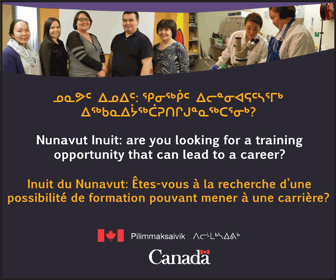 “The silence is deafening,” said Jack Anawak, now a vice-president at Nunavut Tunngavik Inc.. The suicide of an 11-year-old “shocking” and “unimaginable” said Anawak, who has a grandson of about the same age. “It’s time people started saying ‘let’s talk about it,’ rather than saying ‘if we don’t talk about it will go away’,” Anawak said. Suicide, like alcohol and drug abuse, is a symptom of sexual abuse, spousal abuse, physical abuse and intergenerational trauma, he said. And that should be an election issue during the Oct. 28, 2013 territorial election, he said. But that debate shouldn’t occur simply because there’s an election, Anawak said, acknowledging that suicide remains a “territorial problem” that needs to be jointly addressed by the GN, Inuit organizations and other leaders. Expressing shock over suicide is not enough, he said. “And it’s also good to start thinking about it for people so that our MLA candidates can put their commitment to this in October,” Irniq said. Irniq, a relative of the family of the deceased young boy, said the suicide brought home memories of when he was taken away from his parents to go to residential school in Chesterfield Inlet. “I was 11 years old, still a young boy, unable to think of my life for myself. [We] still needed our parents to think for us and secure and comfort our future,” he said. “When we were children, suicide was not discussed by our mothers and fathers. When only a few times my father said something about it,” he said. 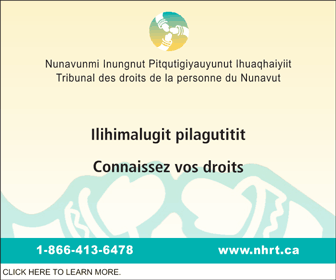 Two other deaths by suicide also occurred over the past week to 10 days in Nunavut, according to information received by Nunatsiaq News. But as to how many deaths by suicide have occurred in Nunavut since the beginning of 2013, that number has not yet been confirmed by the GN or the coroner, who both referred queries back to each other. In 2012, 27 people died by suicide in Nunavut. In 2011, 33 Nunavut residents died by suicide, in what was then the second-worst year for suicide in the territory’s history. This past June, a major study done by psychiatric researchers associated with McGill University found that child abuse, mental disorders and pot smoking are major risk factors for suicide in Nunavut. At the same time, GN officials defended their effort to improve mental health services following a cluster of suicides in Pangnirtung this past May. Other research also says more attention must be paid to the youngest people who die by suicide. That direct exposure to suicide predicts suicidal thoughts or behaviour was true for all age groups, although exposure to suicide increased the risk most dramatically in the youngest age groups in the study, which covered more than 22,000 Canadian youth aged 12 to 17. Among other things, the researchers found that those in the youngest age group, were five times more likely to have suicidal thoughts and 7.5 per cent attempted suicide after a classmate’s suicide. The researchers suggested that school or community-wide suicide prevention efforts may be the most effective. Nunatsiaq News has made a request to the GN for an interview regarding their response to the latest suicides and for the number of suicides in 2013 so far.